I don’t know about everyone, but personally, I LOVE ketchup..in fact, I love it so much that I own a shirt that says I put ketchup on my ketchup! 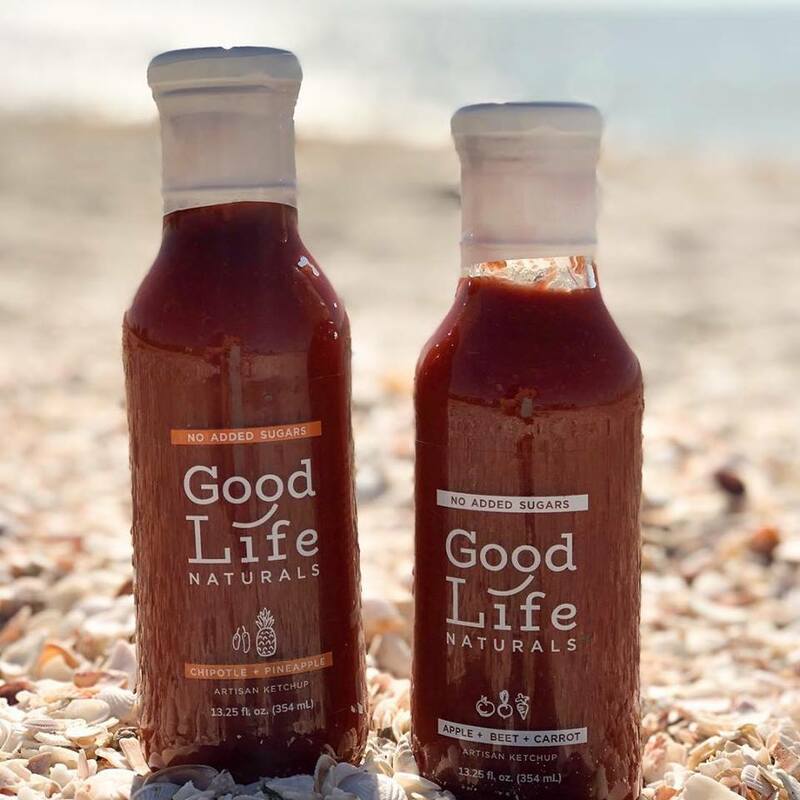 So, when we met Good Life Naturals at a show last fall, we knew that we had to have them in our store! Now, the waiting is over and we are excited to offer their products here at Tip’n the Mitten! A great product with a great story, Good Life Naturals is about amazing taste and natural ingredients. I didn’t know how it could possibly taste like the ketchup I know and love, after all, how can beets, apples and carrots taste like ketchup? But, it does! Even better! The original ketchup is even diet friendly, not to mention the fact that it has no corn syrup! In fact, the majority of its sweetness comes from the vegetables it is made from. A small amount of stevia extract puts that final touch on the perfect artisan ketchup for those who prefer to know where their food comes from! Good Life also offers those with a more “creative” palate, a fun option which is made of pineapple and chipotle as well. Hector and Holly Valencia were raised in completely different cultures but with the same values instilled by their mothers: to eat and make food cooked from scratch with whole ingredients. When they were approached in 2016 to build a company around a ketchup made from fresh produce and without sugar, they were thrilled to be part of the project. About a year later, granola became part of the project, and Good Life Naturals was born. Holly and Hector’s commitment to feeding their family only the best foods made from the cleanest and most natural ingredients carries over into the foods produced by Good Life. They carefully select only the best ingredients, none of which are genetically modified, because that’s what they would feed their family. Hector and Holly reside with their two children, Isaac and Lucy, in Alto, MI, the town where Good Life is made. We work hard everyday to craft better, healthier versions of your favorites. we are problem solvers who are passionate about simple, flavorful food solutions. If you would like to know more about this great company, you can find them online at madebygoodlife.com or follow them on facebook here! We invite you to come and give this incredible Michigan-made product a taste! Samples always available (of course)!